As part of my current movement research, I wanted to put in test the assumption that people move better when they have a reason to move. In an environment where random obstacles challenge the personal physical space, there is a potential for transformation into moving from a reflex rather than an idea. By increasing the speed of the movement, we can equalize the body reaction with the speed our thoughts, leaving ourselves no other possibility than instinctive reaction based on sharp reflexes. In this workshop we will work on partnering exercises to expand our personal movement vocabulary and our ability to physically communicate in a duet. Matan Levkowich is a dancer, choreographer and graphic designer. His approach to movement is based on the study of the body’s intuition. The study of intuition enables to navigate through instability and develops trust in the body’s capacities. His choreographic works explore narratives of body/relations. 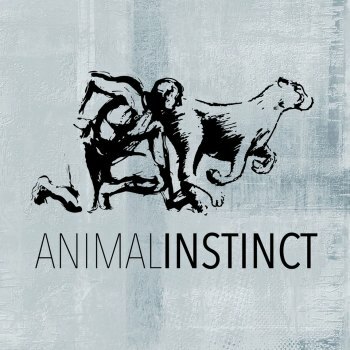 His main interest lays in utilising coincidence into stable, communicative scenarios. 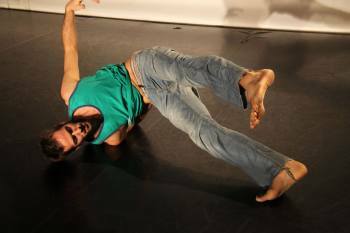 As a teacher, Matan’s focus lays in contact improvisation and movement research. He started giving regular classes in Israel in 2008. Since then, he had the chance to teach in different circumstances and to different audiences; from professional dancers to amateurs and teenagers, in open workshops, festivals and closed intimate groups. Currently he lives in Vienna and teaches in Austria and around. The workshop is 120 € if you subscribe until the 12th of february (only friday dinner aren’t included) – 140 € for subscriptions after the 12th of february.